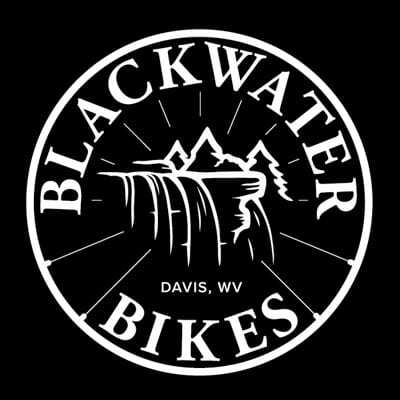 I sat down and started writing my first blog entry for the newly launched Blackwater Bikes website (something our stellar marketing team said would be a good idea). They suggested the first entry should be a recap of the recently held 7th Annual Canaan Mountain Bike Festival. After drafting a few paragraphs, I realized my recap was just that—a plain narrative of the Festival’s schedule with a few quips thrown in for good measure. Sure, I could let you know about each of the events you missed because you opted out of making the trek to the great land of Canaan. But I’m sure you already know you missed out on some really great events. How does one adequately capture the collection of good energy that was present in our community this past weekend? Maybe through a series of hash tags like #morekidsonbikes, #teamgeezerjockreunited, #observedtrials, #bikehash, #tiptopcoffeebarisawesome, or even just #goodpeople coming together to do #goodstuff? But so much is still missing in a hash tag. So, so much. Stuff like the people who came into town for the 7th Annual Canaan Mountain Bike Festival who haven’t ridden here in 20 years. The four-year-olds who participated in a Bike Trials event—something I didn’t even know existed until I was in my twenties. The passionate bikers who did trail work in order to give back to the area that has given them so much over the years. The locals who volunteered to lead group rides—spotlighting some of the area’s best trails to those who have yet to find their way around our little slice of biking “almost-heaven”. The local businesses that donated food, space, raffle prizes, and patience to help provide a positive experience for the Festival attendees. That’s the stuff that makes the world go-round. When I first moved to Tucker County, a friend of mine had planned to move here at the same time. My friend concluded this area was too cold, grey and dreary and it didn’t have the same energy as, well, Asheville. So they moved there. My thoughts on their decision: “have at it.” Not only was their take on this area dead wrong (OK, it has its days), but moving to Asheville, in my opinion, was an easy-out. Anyone can go to a place that’s already “happening”. But those of us here now, and the many who came before us…well, we’re making it happen and the 7th Annual Canaan MTB Festival is just one example of the good stuff this area is producing. If you still need a recap of the 7th Annual Canaan Mountain Bike Festival, call the shop or better yet–stop in and I’ll give you a play-by-play. Some of the many photos from the festival are below! Be sure to check out our new gallery page as well. We hope to see you soon! Great to see a fresh take on your new website. I would check out the website several times a year and was always amazed / disappointed that the website had not changed / updated in years. I am from Frederick, MD and usually do a guys weekend to Davis / Canaan twice year to mountain bike. Looking forward to riding there this Fall. Good luck with the new ownership and we will stop by as always! Well done! Best MTB festival ever! Great people, great trails, great time!! Davis is one of those places you just can’t get enough of. Copyright TEXT Blackwater Bikes - All Rights Reserved.